If you are interested in promoting Hispanic Literatures and Cultures then Sigma Delta Pi is for you. Some of the most notable benefits are the opportunity for national awards, grants, and scholarships, which can facilitate study abroad programs and provide money for graduate research grants. Andrea Pauw has been awarded a Mellon/American Council of Learned Societies Dissertation Completion Fellowship (DCF) for her dissertation, Verses to Live By: Aljamiado Poetry in Mudéjar and Morisco Communities. The Mellon/ACLS DCF competition is one of the most competitive, purely academic fellowship competitions there is. The fellowship supports Ph.D.
Read more about Congratulations Andrea Pauw! Undergraduate students interested in the 4+1 B.A./M.A. option should apply during the Spring semester of their third year. 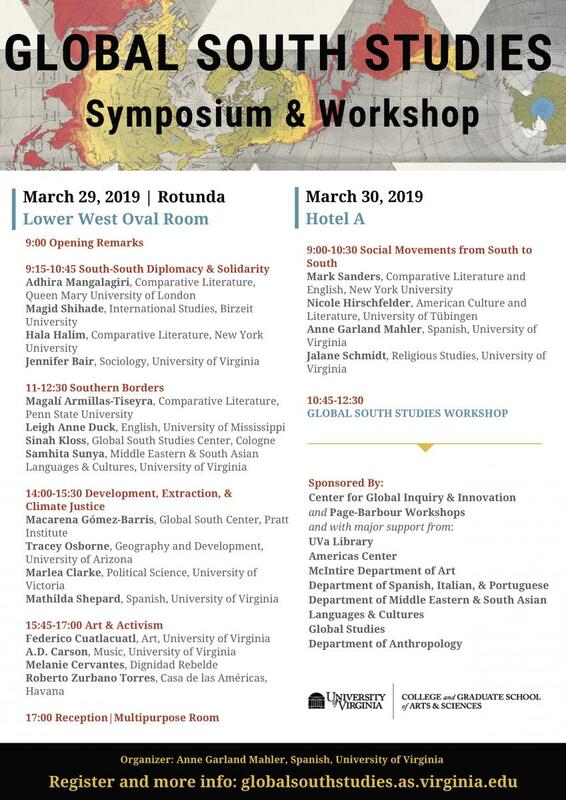 The University of Virginia’s M.A program in European Studies trains students to think across disciplines and cultures and apply a diverse array of methodologies to the study of Europe in a global framework. Full schedule available here and below. Click here to register. UVa Spanish Theatre Group Presents "Cifras"
Read more about UVa Spanish Theatre Group Presents "Cifras"
Please join us on Sunday February 17 at 7 pm Old Cabell Hall for a concert by renowned Afro-Peruvian artist Susana Baca, two-time winner of the coveted Latin American Grammy Award. Members of the UVA community may reserve tickets until February 3. [Please, show valid UVA ID to claim tickets at the Box Office]. The general public may pick up tickets beginning February 3. Two tickets maximum per person.